being little • bristol uk fashion & lifestyle blog. : perfect picnic. The weather at the moment, as always, is a little temperamental, but in the rare moments that the sun does shine, I think the best thing to do is rush outside for a little al fresco dining. Over at the Being Little Shop at the moment there are lots of cute little seperates and accessories that are perfect for picnic-ing in! Flirty skirts, pretty tops, fun headscarves and hats. I've also added LOADS of clothes and accessories to my Ebay shop! I'm moving out on Sunday so I need to get rid of these things asap! 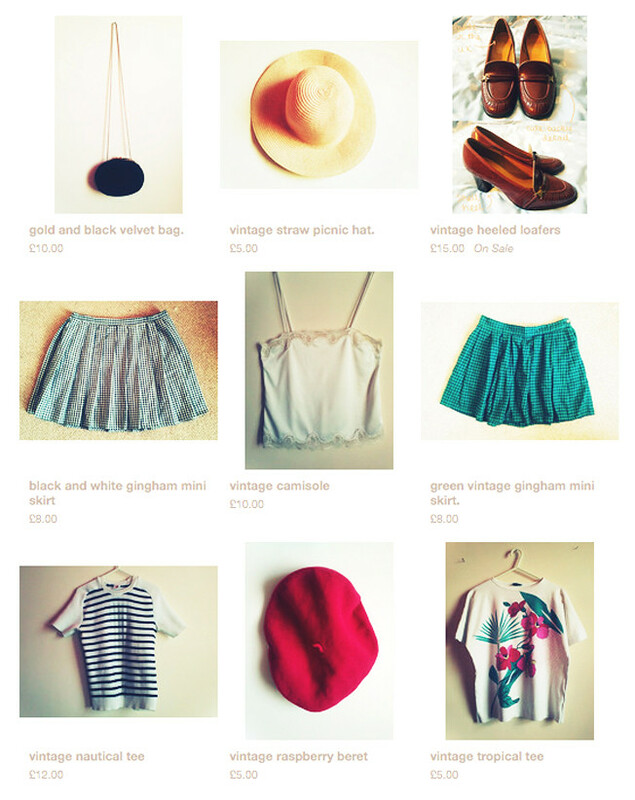 Many items new with tags or barely worn, mostly branded, all starting at 99p! Take a look! I've just ordered the picnic hat! It's perfect and just what I was looking for. Love these items! That beret is the sweetest. Gorgeous selection! Can't wait to have a look at your other bits and bobs! The picnic collection is gorgeous, I wish I wasn't broke!